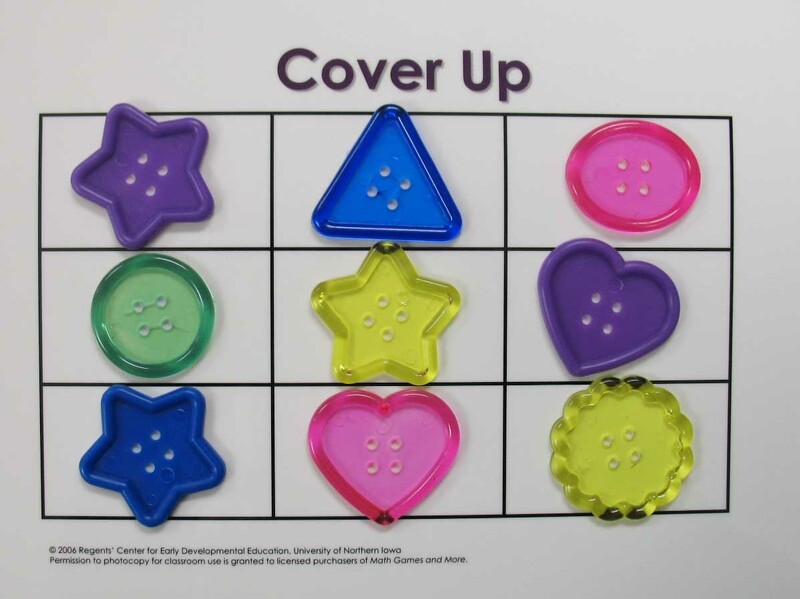 Cover Up is a generic game with many different variations. 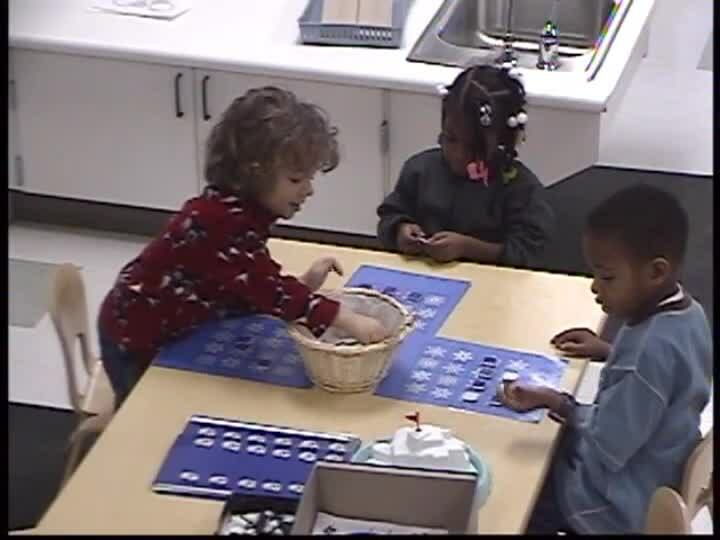 One-to-one correspondence: The beginner version is one of the most basic games for young children and is intended to improve their skills of one-to-one correspondence. The students are given practice in their one-to-one correspondence by counting the number of dots on the die after they roll. This game also provides students with an opportunity to improve their counting skills. Goals for children include turn-taking and counting (dots on the die). Recognizes and labels others emotions. K.CC.5. Count to answer how many questions about as many as 20 things arranged in a line, a rectangular array, or a circle, or as many as 10 things in a scattered configuration; given a number from 1 to 20, count out that many objects.